The Izzy collection by Jennifer Taylor Home is the perfect addition to any living space looking to add a bit of a traditional flair. The fabric selected for the collection features Polyester blends and engineered for long life. Our wood frames are made from kiln dried birch wood which provides exceptional support and stability. This unique design is accented with subtle hand tufts along the back. The Izzy is an ideal choice for the entryway, hallway or living areas. 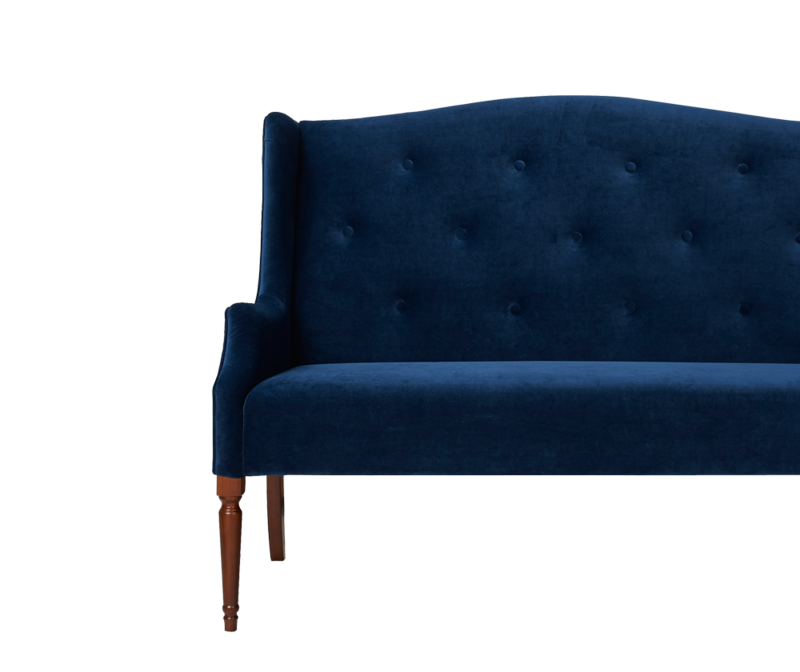 This settee brings class and lounging comfort to any room in the home. We offer a unique versatility in design and make use of a variety of trend inspired color palettes and textures. Our products bring new life to the classic American home. The Izzy Tufted Settee is the perfect addition to any living space looking to add a bit of a traditional flair. The fabric selected for the collection features Polyester blends and engineered for long life. Our wood frames are made from kiln dried birch wood which provides exceptional support and stability. This unique design is accented with subtle hand tufts along the back. The Izzy is an ideal choice for the entryway, hallway or living areas. 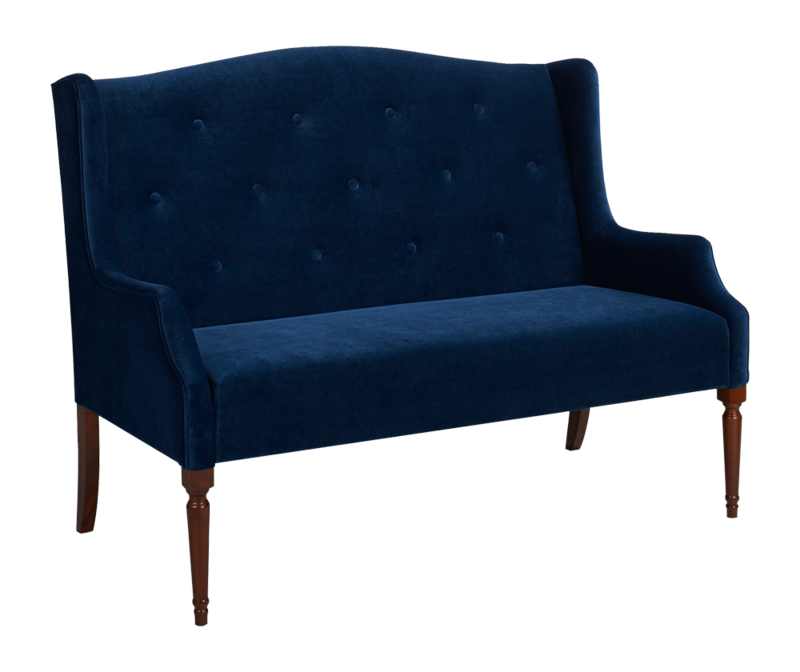 This settee brings class and lounging comfort to any room in the home. Love this - we used it on our wedding day and after as dining-room seating. Great piece. I purchased this furniture to compliment my dining table and it looks fantastic. It's easy to assemble this settee, it takes two people to put it together but it's easy peasy- took a few minutes. This settee is sturdy and roomy and looks great. I absolutely love this settee. My 15 year old put it together for me so I would say assembly is a breeze. Everyone loves to sit on it. Definitely you want to measure before you purchase because a photo always makes things look different than in person...but I had done this so it worked perfectly for my needs. Comfortable! Beautiful linen. Very functional at the dinner table as well as the hallway (we use it for both). Grey looks excellent with a brown table. Used as a dining bench. Yes, it's difficult to put together, but worth the effort. I like a tight back and tight seat on a settee and this one does that well. The silvery gray color changes with the light, but is never a beige which I really didn't want. It looks great in my living room! Love this piece in our new dining room. Great price. Great quality. Was very quick and easy to assemble. Just received my Izzy settee, and I couldn't be happier! It arrived well packaged, and my husband was able to assemble it pretty quickly, with no real challenges. It is exactly as pictured. The fabric is soft, and it is very comfortable. I can't wait to see it paired with my new dining table.